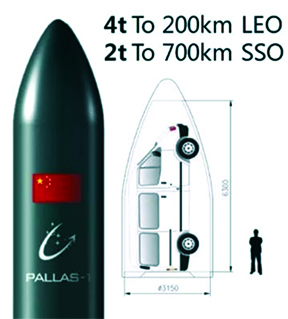 Illustration of the OS-M launch vehicle. Image is courtesy of OneSpace. Journalist Andrew Jones is reporting at gbtimes.com that Chinese private launch firm OneSpace has taken another step toward making the firm's maiden orbital launch with a successful fourth stage engine test of their OS-M launch vehicle. The tests carried out on October 23, 2018, included a third and fourth stage separation test for the solid-propellant OS-M rocket, which will be capable of lifting 205 kg. of payload. OneSpace performed hot fire ground tests of the OS-M main stage engine in July of last year and the third stage tests in September, just prior to the company's second suborbital flight. A company spokesperson told gbtimes.com that for the next steps, OneSpace will carry out a structure static test and an electrical system comprehensive test, as well as attitude control and propulsion systems checks and vibration tests for the OS-M rocket. Launch is currently expected to take place near the end of this year. OneSpace successfully launched its second suborbital rocket from Jiuquan in the Gobi Desert last month. The Chongqing Liangjiang Star rocket lifted off at the Jiuquan Satellite Launch Center at 04:10 UTC (12:10 local), reaching an altitude of around 35 km. and traveling 169 km. during a flight of 200 seconds, in accordance with the requirements from an unnamed customer — a commercial Chinese remote sensing satellite captured stunning footage of the suborbital rocket launch from orbit. Photo of the Zhuque-1 rocket is courtesy of Landspace. 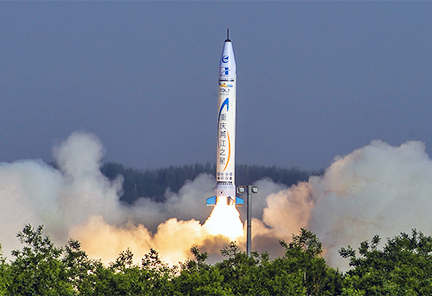 OneSpace is one of approximately 10 space launch companies that have emerged following a 2014 Chinese government decision to open the space sector to private capital, especially in the arenas of launch and smallsats. One of these startups, Landspace, is currently at the launch site preparing for what could be the first orbital launch by a Chinese private company. The Zhuque-1 solid-propellant rocket is currently being readied for launch from the Jiuquan Satellite Launch Centre in northwest China, with the mission expected to take place on October 27. Image as posted at gbtimes.com is an advertisement from iSpace announcing payload availability for the company's April 2019 launch of Hyperbola-1. Image is courtesy of the company. 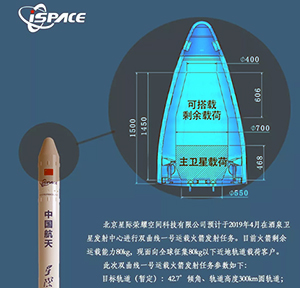 In addition to Landspace are Linkspace and iSpace (which also had its second suborbital launch in September) and Expace, a nominally private spin-off from state-owned missile-maker CASIC. Lower-profile, newer companies include S-Motor, JiuZhou YunJian, SpaceTrek, Galaxy Space, Deep Blue Space and Xinghe Power. An illustration of the plans for a two-stage kerolox launch vehicle. Image is courtesy of Galactic Energy, China. Founded in October 2016, iSpace is looking to launch its first orbital rocket, Hyperbola-1, in April of this year to a 300 km. LEO orbit from the Jiuquan Satellite Launch Centre and stated in a press release (in Chinese) that 80 kg. 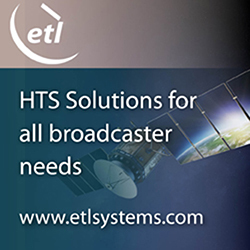 of payload capacity remains available for clients.